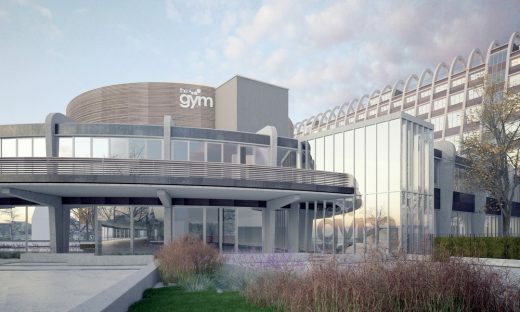 The Toastrack proposal is to refurbish and re-use the post-war Grade II listed Hollings Park Campus buildings into residential use including retail space at ground floor and a gymnasium within the former library building. 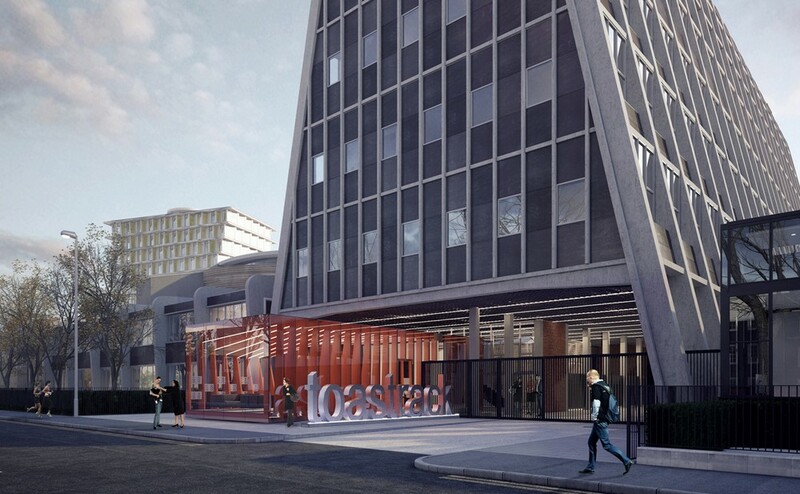 The Toast Rack was formerly (and formally) known as the ‘Hollings Building’. 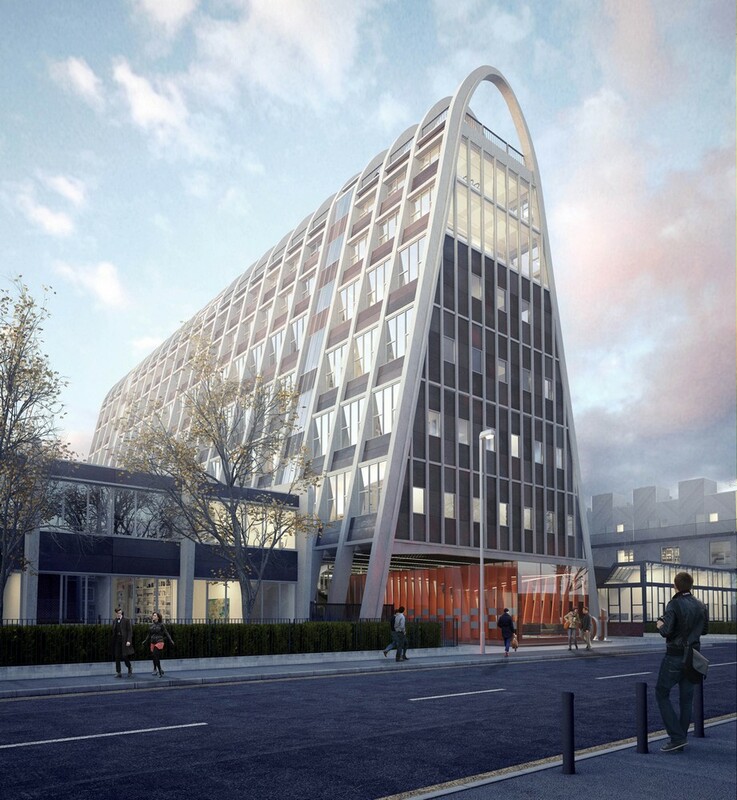 It is a Modernist building in South Manchester completed in 1960 as the Domestic Trades College. It became part of Manchester Polytechnic then Manchester Metropolitan University until closure of the “Hollings Campus” in 2013. The unusual Brutalist building was designed by the city architect, Leonard Cecil Howitt and is known as the Toast Rack due to its distinctive form (reflecting its use as a catering college). Ollier Smurthwaite and SixTwo Architects’ plan to turn Manchester’s Toast Rack into private rental flats has been approved, reports Building Design. The former campus in Fallowfield will be converted into 210 residential units. 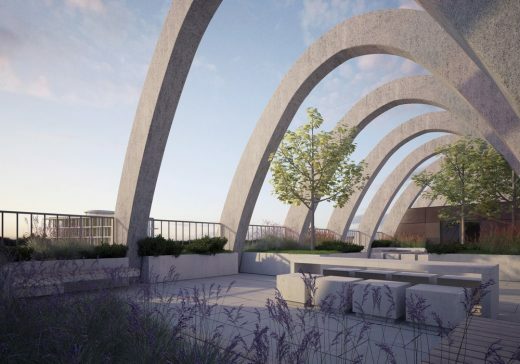 The Manchester Toast Rack Flats scheme will also contain a gym and some retail as well as a covered winter garden with play areas for children; a garden on top of the Toast Rack building and other public realm spaces around the buildings. Flats will vary between one and four beds. The Toast Rack Building in Manchester was designed by architect Leonard Cecil Howitt was listed in 1998. Generation consulted with Manchester Modernist Society, 20th Century Society, Places Matter and Historic England on its plan. 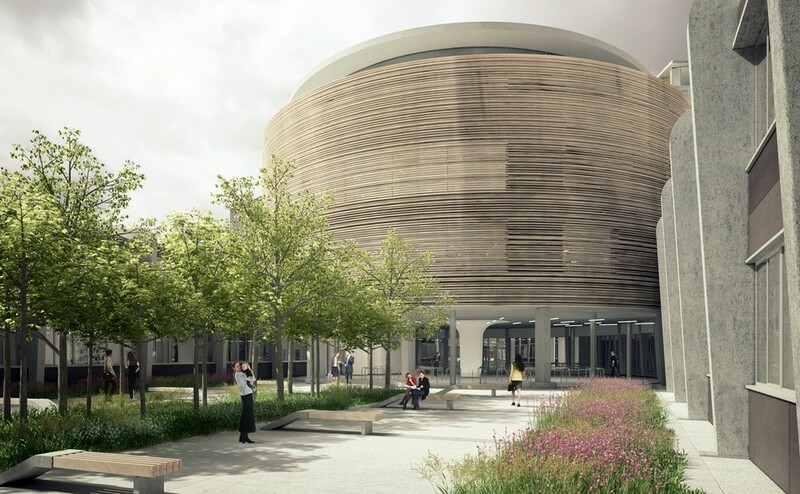 Work could start on site in the last quarter of 2016, with the development phased over two years.